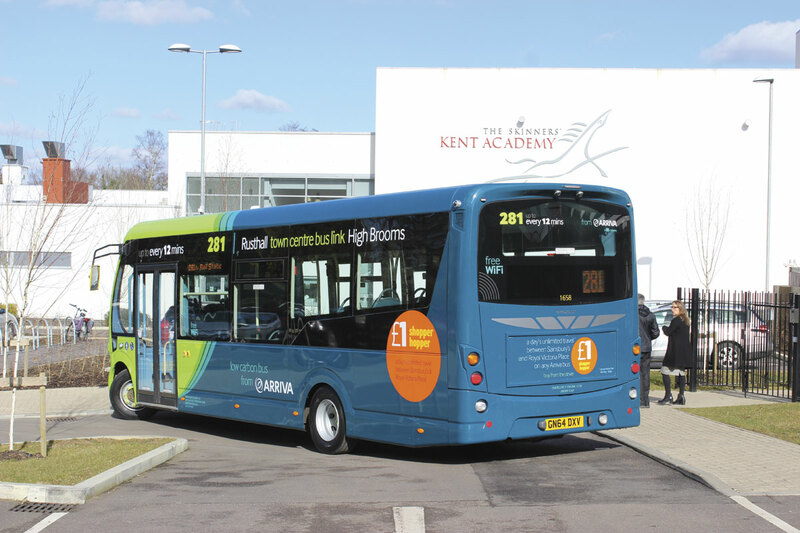 Last Friday morning saw six brand new buses lined up in the car park of The Skinners’ Kent Academy on the northern outskirts of Royal Tunbridge Wells for an event to celebrate the complete renewal of the fleet used on the 281 service that is the main cross town bus service. It connects Rusthall, Sainsburys and the Pantiles to the south of the town, the railway station, the town centre, Tesco to the north of the town and on to High Brooms. Beginning the speeches, Vice Principal of The Skinners’ Kent Academy, Matthew Tompkins, said that they had moved into the new £21.4m building two years ago and transport was a key element to young people when they came to the school. He said they were talking to Arriva about other routes and thanked the company for working with them. 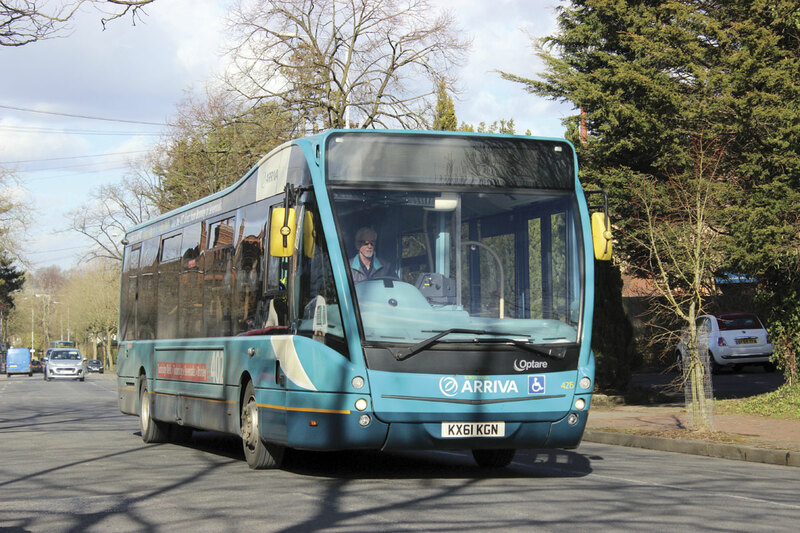 Responding for Arriva, Southern Counties Service Delivery Director, Brian Drury, said how pleased he was that students were involved in the launch, and that one was making a video of the event that would appear on the Arriva website. He also mentioned the Arriva App that had been developed nationally and with which passengers could see where their bus was in real time. 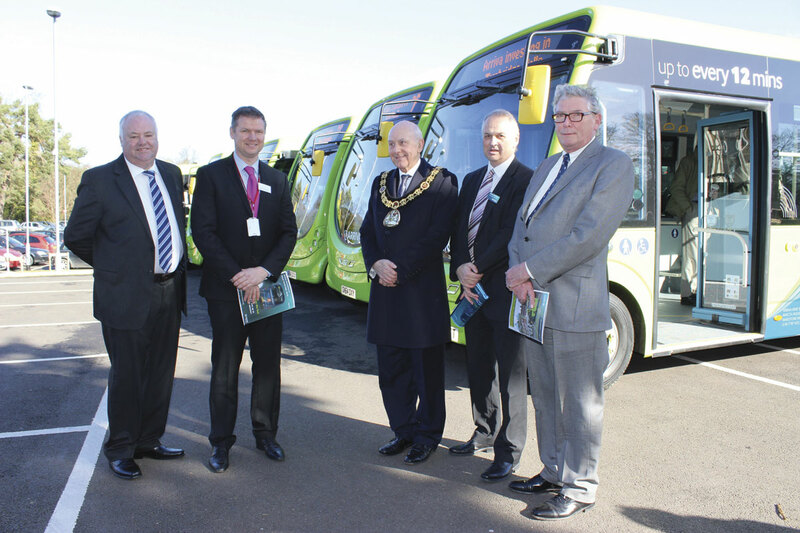 Commercial Director, Kevin Hawkins, gave some background on the 281 service which has been a focus of the local operation over the past eight years in particular. 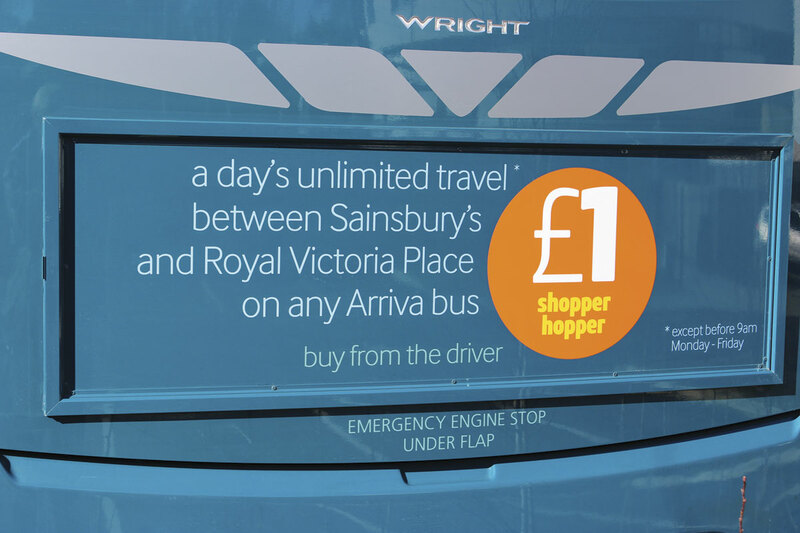 Following discussions with traders in the Pantiles area of town, who had been looking for an enhanced service between their shops and the top of the town, the existing ‘Shopper-hopper’ ticket was relaunched and both it and the 281 service received enhanced promotion and marketing. 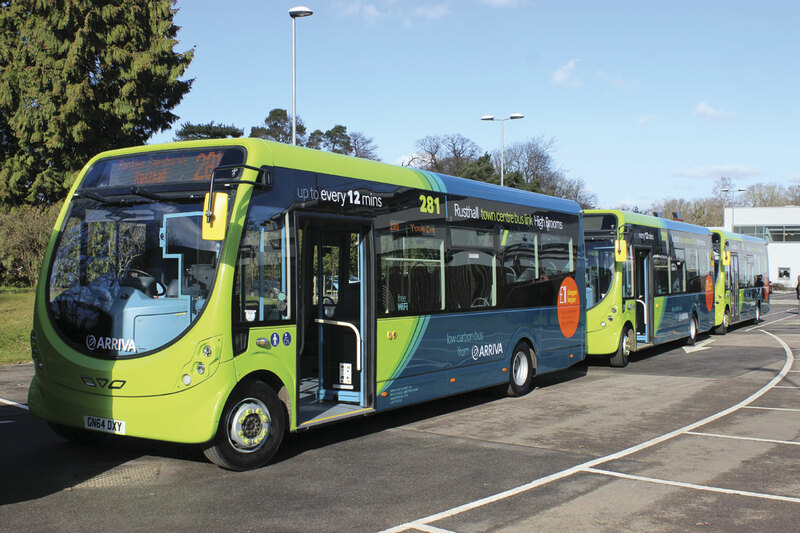 He said the new buses were the second batch that had been placed on the route, and they were low carbon vehicles fitted with both wi-fi and leather seats. Kevin added that there was a great partnership with the local council and borough council that was really producing results. The 281 was his local service and he looked forward to using the wi-fi on it when he next travelled on it using his bus pass, though he admitted that this would be only the third time he had used it. It had been hoped that local MP, Greg Clark, would be able to attend but last minute commitments meant he was unable to do so. However, Matthew Balfour, who had taken over only the previous day as Cabinet Member for Environment & Transport at Kent County Council, was in attendance, asking that people didn’t ask him questions as he hadn’t settled in yet. He echoed the positive comments of earlier speakers, stressing the environmental benefits and the days of buses pushing black smoke out of the back had gone. Talking later to Matthew Tompkins, he said that the Academy had 680 students and was three times oversubscribed for next year. The premises had just been the subject of a £21.4m investment and when last visited by OFSTED in 2012 they earned a mix of two good and two outstanding ratings. They were looking forward to OFSTED’s next visit. Around 300 students and staff arrived by Arriva buses, not all of them on the 281 as some came from other directions. 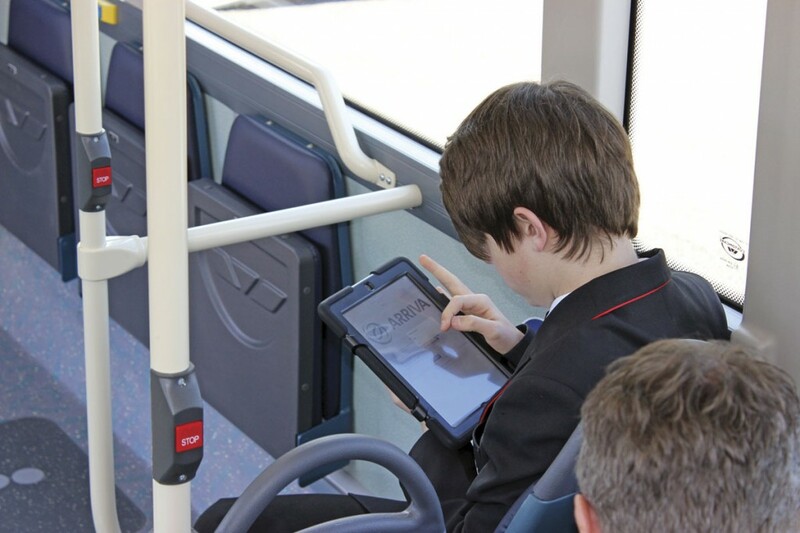 He said that every pupil had an iPad and all of them had the Arriva App installed so that they could track when buses would come. Asked about presenting a positive image of bus use to students, he said that ‘drop-down days’ when topics such as the environment were discussed and ecologically friendly buses would be covered along with cycling and walking. The 281 has a PVR of six buses so that all of the new acquisitions will be required every day. Provision has not been enhanced further at this stage, beyond the introduction of the new buses. It is currently the only Tunbridge Wells route on which wi-fi is provided and, apart from Fastrack, was the first wi-fi route in Kent. It is commercially operated with only evening and Sunday services financially supported by Kent County Council. Over an excellent finger buffet, Kevin Hawkins told me more about the recent history of this old-established route that had originated as the 81 and had during the 1980s been operated using Rootes bodied Mercedes-Benz 608Ds. As he had previously mentioned, meetings with shopkeepers in the Pantiles area in 2006 resulted in the introduction of branding for the 281 promoting it as a town centre link. At that stage it was applied to step entrance Darts but in 2007 six new ADL Enviro200s were introduced and the original daytime frequency was increased from every 15 minutes to every 12. At a later stage, evening frequencies were increased from hourly to every half hour and it was subsequent to this that the wi-fi was retrofitted. The ‘Shopper-hopper’ ticket has enabled people to hop on and off any Arriva buses in the centre of the town as often as they like for just £1.00 a day (originally 80p). Available after 09.00 on weekdays and all day at weekends, the ticket is available from drivers on the bus and has proved very popular. Since 2006 there has been consistent year on year growth on the 281, indeed it has been constant apart from a two month period when there were severe road works impacting upon it. 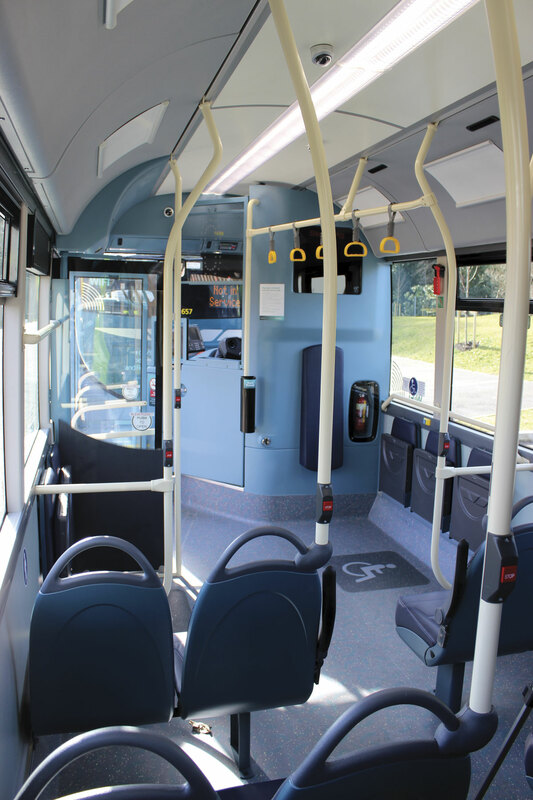 The buses are 8.8m Wrightbus StreetLites to Wheel Forward rather than Door Forward configuration on account of the narrowness of the route in places. Each is equipped with 30 e-Leather trimmed Esteban Civic V2 seats. with space to accommodate motorised buggies. There are two tip up seats in a nearside bay and three tip-ups on the offside where the wheelchair ‘ironing board’ is fixed to the rear of the driver’s cab bulkhead. Maximum capacity is either 30 seats plus 26 standees, 25 seated and 36 standing or 25 seated, 29 standing and one wheelchair; it beats me how the driver is supposed to know who is stood up and who is sat down and concentrate on driving. 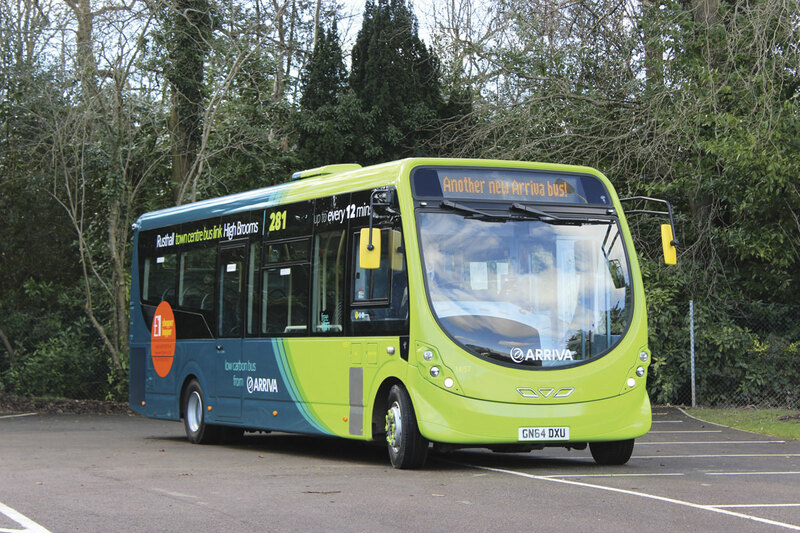 According to Wrightbus specification sheets, it is possible to achieve capacities as high as 33 + 37 with the model. The driveline combination matches a Euro5 Cummins ISBe5 160PS engine with the Voith DIWA D824.5 four-speed automatic transmission. Equipped with micro-hybrid technology that recuperates braking energy to help power ancillary systems, the StreetLites qualify for Low Carbon Vehicle status with the advantages this brings in enhanced BSOG payments. I understand that they are first wheel forward micro-hybrids, although some will also be entering service with The Shires shortly. 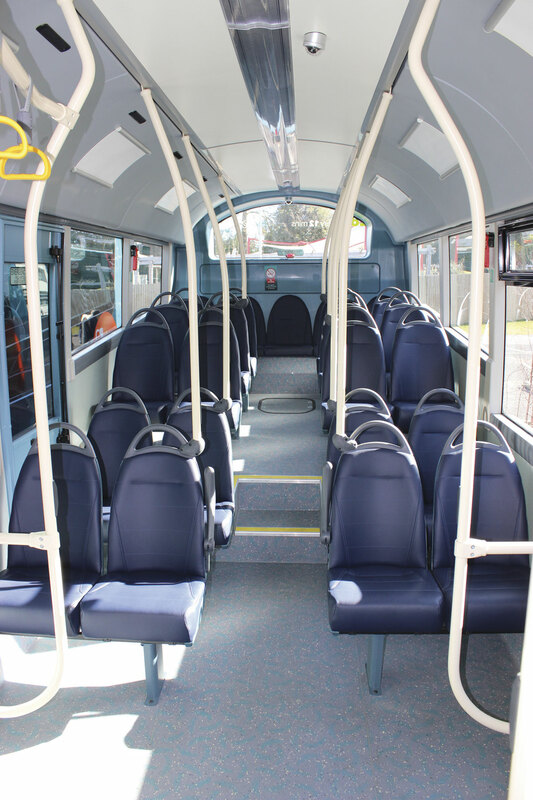 They replace a similar number of 29-seat ADL Enviro200s that are to be cascaded to other duties. These vehicles were wi-fi equipped and also branded to promote the 281 though unlike the StreetLites they did not have the assault screens that are now standard on local vehicle acquisitions, but which do rather hamper driver – passenger interaction. At the beginning of the year, Arriva Southern Counties, which includes Arriva Kent & Surrey, became separate from Arriva the Shires. All six of the StreetLites are operated from Arriva’s Tunbridge Wells depot on St John’s Road and after the launch I went there to meet Operations Manager, Mark Coleman and Engineering Manager, Andy Weber. I found Mark in the traffic office located in the four storey buildings alongside the garage that look like two town houses. Apparently the one housing the traffic office was originally a Maidstone & District travel shop. Tunbridge Wells is one of the group’s oldest garages, dating back to the early 1920s. There has been talk of a move for at least the last 25 years, but nothing has yet come of it. It is extremely unusual in that the building is on two levels, the lower section to the rear having been built prior to the construction of the front part. Originally there was a ramp between the two sections but it was removed in the late 1980s and the space is now used to house the bus wash. Separate entrances give access to the upper running shed and lower area, which includes the workshops. The PVR is 52 and with spares the total allocation is 59, of which 21 are double deck. There are 119 drivers and the maintenance team includes seven engineers, two bodybuilders and an electrician. 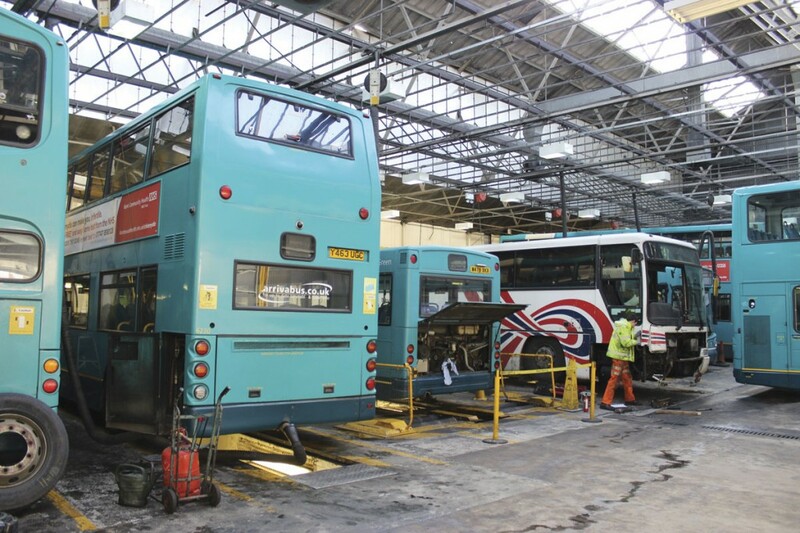 Buses from other depots are also seen in the garage for maintenance work, notably the Arriva’s 29-vehicle Tonbridge based New Enterprise coach operation for which Andy is also Engineering Manager. Both Andy and Mark agreed that teamwork between the operations and engineering functions at Tunbridge Wells was good. They saw it as a challenging place to operate because of the nature of the road network, with three main roads in to the town, each with schools traffic. There were a lot of vulnerable areas in which a minor incident could rapidly cause a snarl up that was then difficult to control. 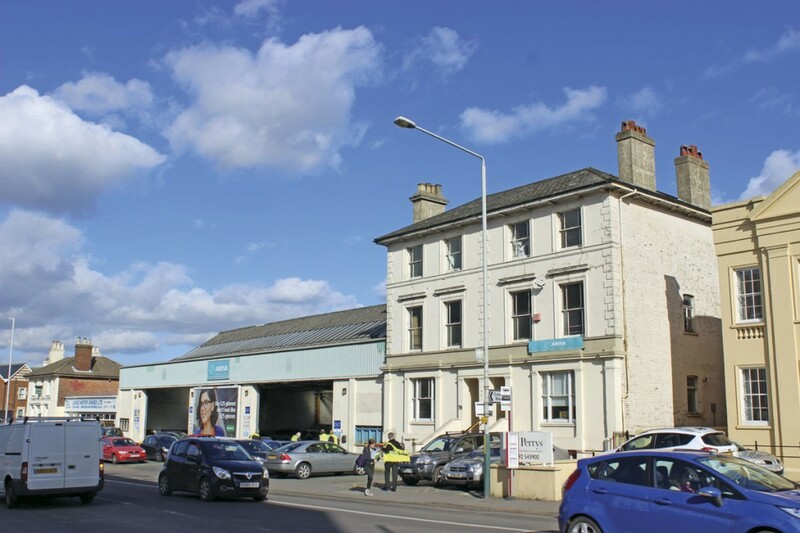 They thought the town would benefit from a park and ride scheme to reduce congestion, but there was little imminent likelihood of the funding for one being available. There were bus lanes on the Southborough Road but none on Pembury Road where they would be really useful. Despite the difficulties faced, the last four or five years had seen the depot consistently manage to achieve growth, though they admitted that the last few months had been challenging. Illustrating the growth trend, they pointed out that seven years ago the PVR had been down to 44, since which time it had been up as high as 60, with an allocation of 67 close to the limit of what the facility can handle. A major factor in the growth had been the introduction of the Kent Freedom Pass. 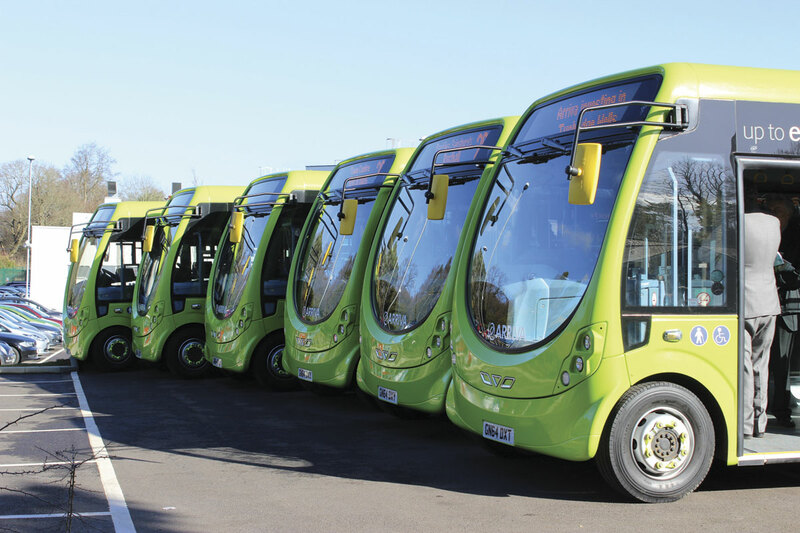 Prior to the StreetLites, the last brand new buses allocated were a batch of Optare Versas delivered in 2011 for use on the 402 service to Sevenoaks, Knockholt and Bromley in TfL country. 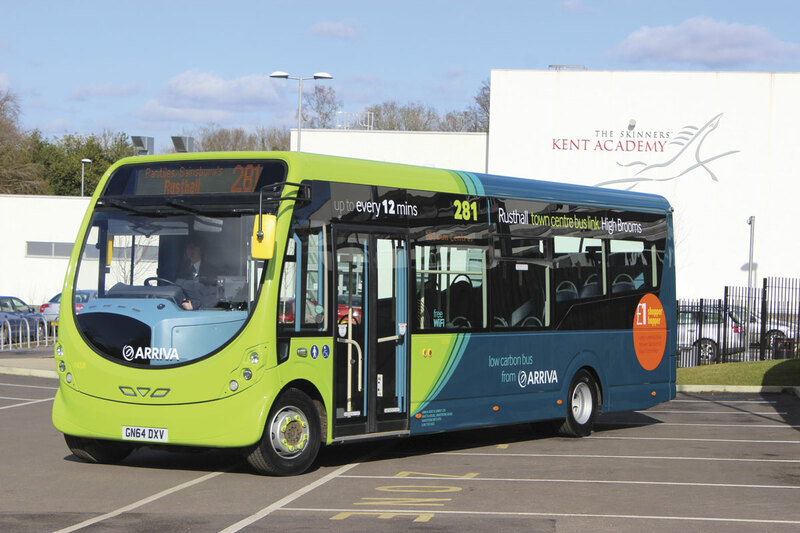 Other types include Enviro200s, ALX200s, Pointers and three Solos used on the 277 service, while the double deck fleet has been benefiting from updating with the arrival of former London Volvo B7TL Wright Geminis.